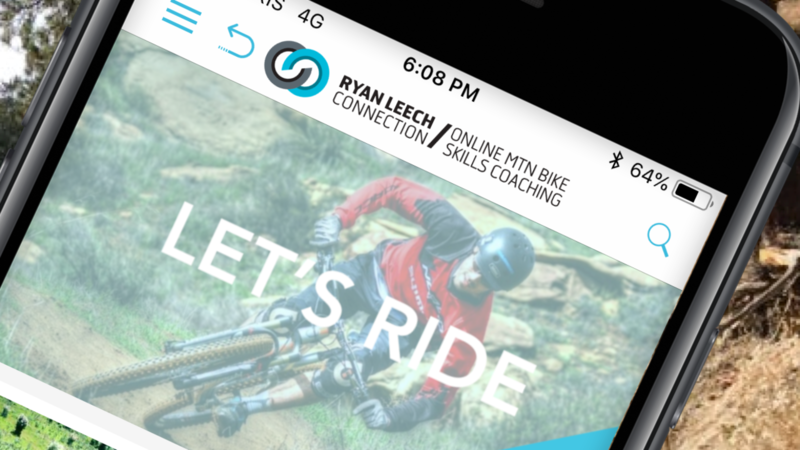 Ryan Leech Connection (RLC) - Online Mountain Bike Skills Coaching - has just launched a new app, giving users access to all of the site’s videos, lesson, and coaching right at their fingertips wherever they are. The new app (available on iPhone and Android) will expand the customer experience by offering quicker access to course materials and easy reference to trailside lessons; all with a clean and intuitive interface. "I generally only watch longer videos if there is a reason beyond just pure entertainment - this one was philosophical, and I could relate because of my own history as a pro. It leaves me wanting more though, not the riding footage, which was magical, but the philosophy, especially because the words were not written by the subject of the film. I"d love to hear directly from Brett. 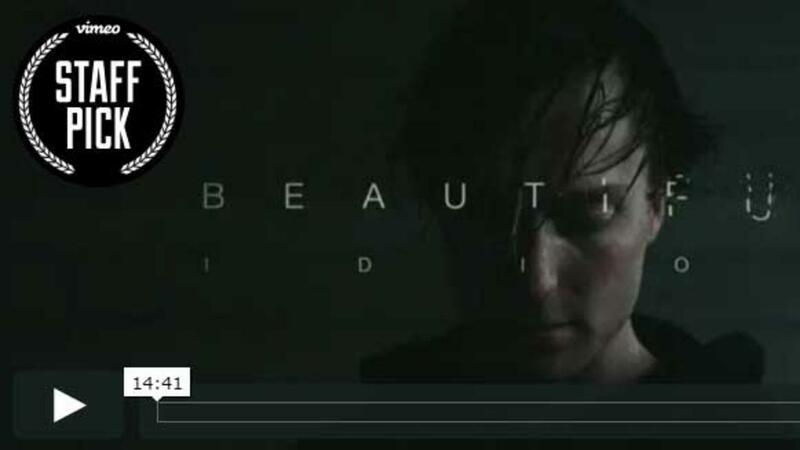 Does this video leave you with any lingering questions about the mindset of a pro - or how about whether a pros mindset is actually quite similar to that of a recreational rider? For example, one of the messages was that after achieving his goals he could do something different or increase the challenge - and it seems as though he chose to increase the challenge - but why? I think a sequel is in order! Have you crashed lately? Could it have been avoided? If so, how? 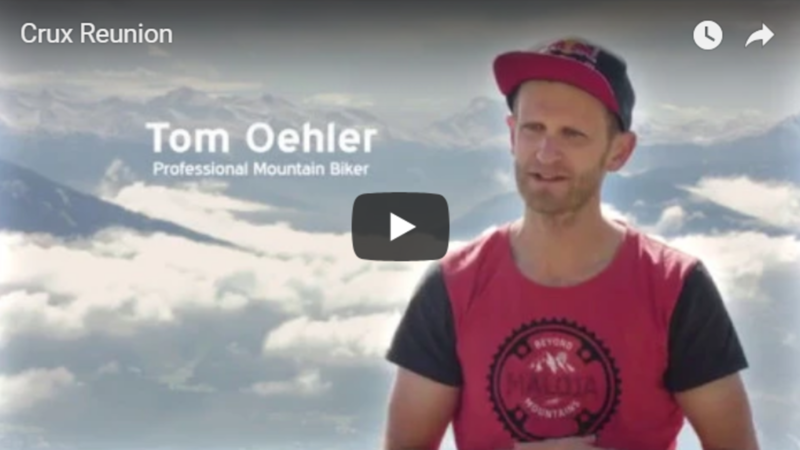 This clip was from a stunning alpine ride in Revelstoke BC and shows my first crash in over a year. I was fortunate to only acquire a few scratches. 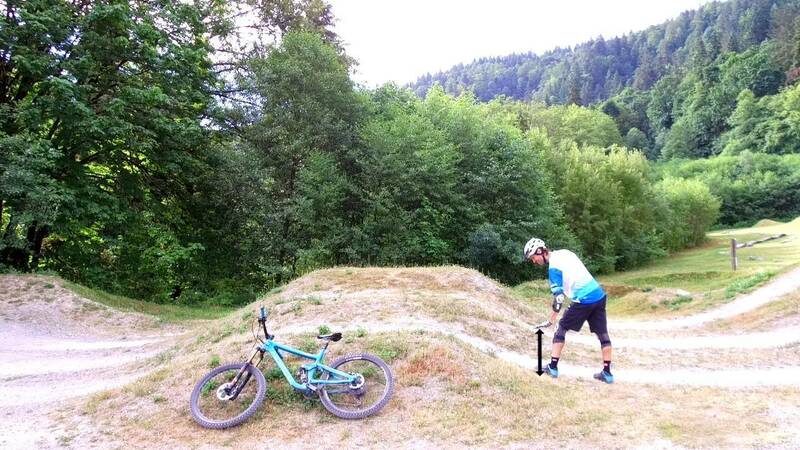 My goal as a mountain biker is to never crash, and this one could have been prevented. I was going just a little too fast on an unknown trail, slightly slower would have been just as much fun and perhaps even more pleasurable. It's a lofty goal, but not a naive one - I know I may crash again, but if I'm able to stay true to my goal the reasons for the crash will be largely outside of my control. Practice - Patience - Persistence. What do these individual words mean to you? What does the combination of these words elicit for you? 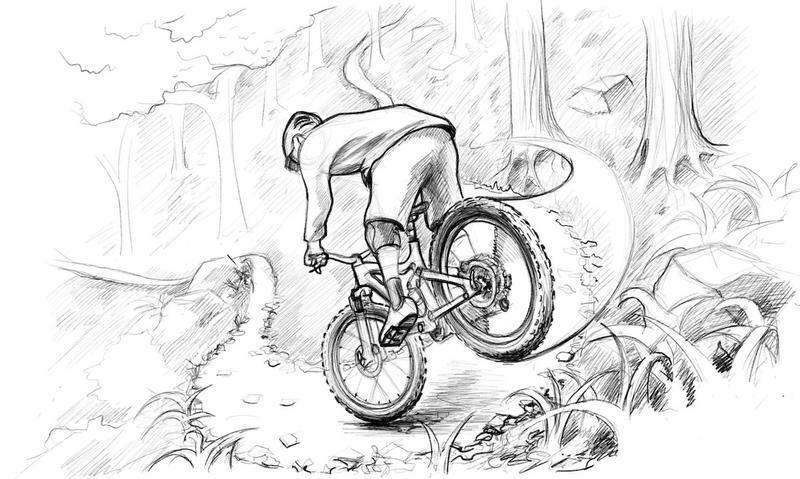 As I’m sure you’ve experienced, PATIENCE is mandatory when PRACTICING technical mountain bike skills. And without PERSISTENCE over the long haul, those individual practice sessions won’t get you very far. 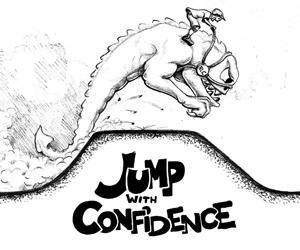 Living up to this combo of words was the bedrock of my professional riding career, and the same is necessary for you to make progress within my courses, watching the tutorials won't magically endow you with skills. The up-front effort required from you to make even small gains in your abilities is large, that’s why most riders never master many of the more challenging and enjoyable techniques available to mountain bikers. So please continue adding a healthy dose of Practice, Patience and Persistence to your riding, and keep our coach and ambassador team posted with your progress! Last year I did a trip from Barcelona to Innsbruck with my friend Thomas. 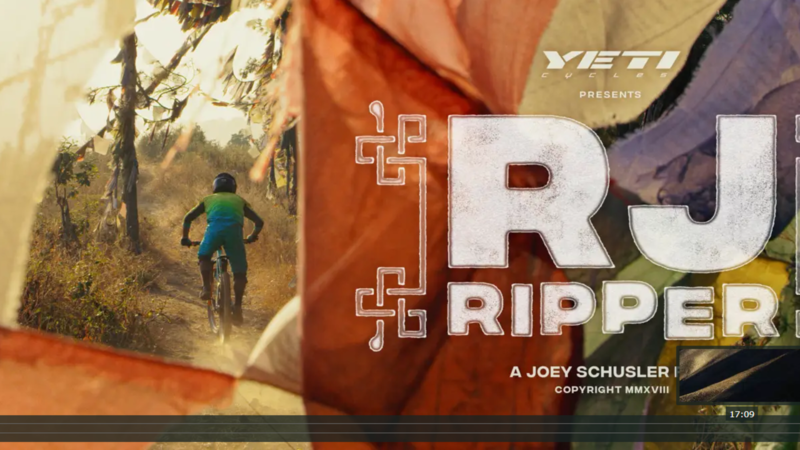 It was a 10-year reunion for the trials film 'CRUX' that we released on DVD, just before YouTube came on strong. It was popular in mtb circles and cutting-edge riding at the time. I had mixed feelings about doing this trip - I was VERY busy running RLC and I also had low desire to take risks to do cool things in front of a camera for others' entertainment (and inspiration), which had, of course, been the basis of my 20 year pro career. 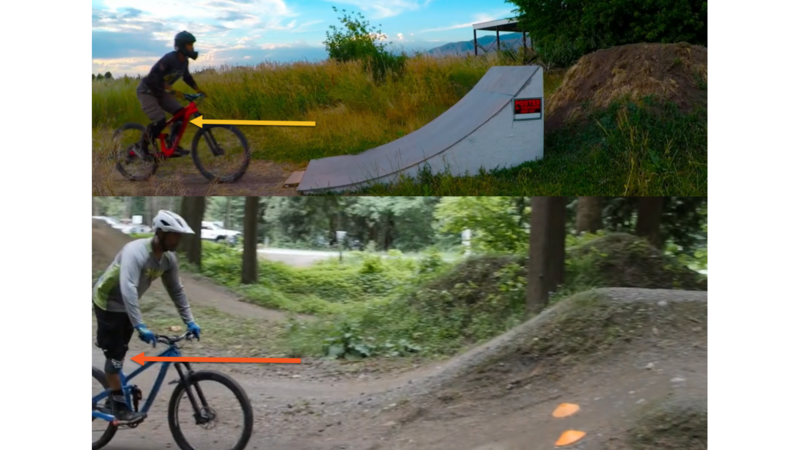 But as you can see from the film, it was a beautiful journey, with loads of fun riding spots, and Thomas is an incredible rider to behold. I learnt a lot about myself as a rider on this 'pro' gig and it really confirmed my purpose and passion for running RLC. This is definitely the right place for me to be investing my time and energy. Hope you enjoy! [Video Lesson] Manual Masterclass: Front wheel lift integration. Manuals are on every mtn biker’s wishlist. Probably why the Manual Masterclass is one of our most popular courses. So we’ve recently slotted in this awesome little exercise, which integrates all the components of the initial lift. It’s a great drill, and one that will hopefully get you experiencing that crisp, smooth feeling described. Give it a go! 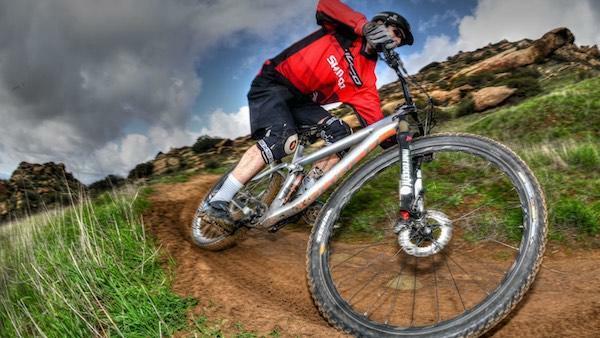 Action: Isolate and experience each of the key movements that trigger a manual front wheel lift. Curiosity: How can each of these be blended so you're not relying too much on just one - for example relying too much on pulling the bars. Graduate: Once you've experienced the blending and crisp timing of the stomp, the leg extension, the hips shifting rearwards and the hands pulling on the bars.